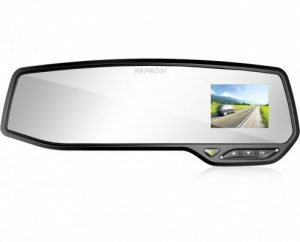 Does a driver today NEED a dashcam? Of course not, but if you know anything about them at all, it is hard to deny their utility, especially today with the number of distracted drivers ever climbing higher. There are more cars on the road today than ever, so why not have an eye witness with you that never looks away? Driving is a dangerous task, it really is. You are a human being, operating a ~3000lb hunk of metal, glass, and plastic, at speeds well over 60mph often times, carrying several gallons of highly explosive fuel. Add this to the fact that you are surrounded by people doing the same, and doing so while drinking coffee, fiddling with their stereos, GPS devices, phones, etc. Driving is a task that is rarely taken as seriously as it needs to be, thusly there are a lot of reckless people out there. Almost everyone who has been driving for any amount of time has had a moment where something happened in front of them, and they say ‘wish I had that on camera!’. Years ago, dashcams were either unheard of, or so ridiculously expensive and impractical, virtually no one outside of law enforcement had them. Now a days, dashcams are priced so affordable, it seems silly not to have one, and with the selection of dashcams out there, it can be really bewildering to decide which one is right for you. Today we are looking at a PapaGo! 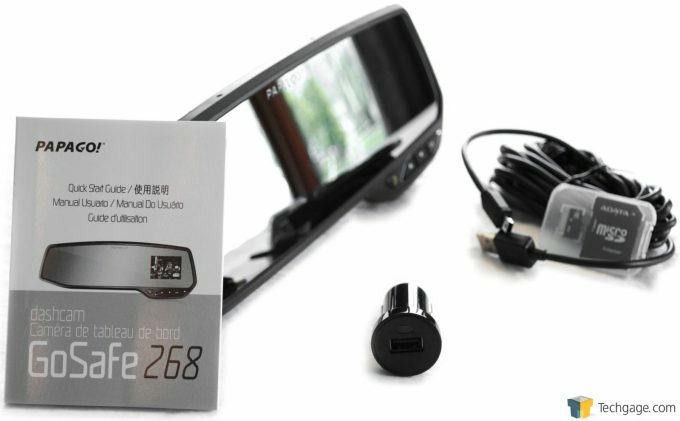 GoSafe 268 dashcam. Here at Techgage, we have looked at a couple of other offerings from PapaGo! and been very pleased with its offerings. One obvious difference from this GoSafe 268 dashcam from others, is that this is not a windshield or dashboard mount with a suction cup; this form factor is by far the cleanest out there, as it attaches over your rear-view mirror already in your car. However, this form factor is far more limiting than other examples. How did this compare to previous windshield/dashboard mount offerings? Let’s take a look at the PapaGo! GoSafe 268. The main feature of any dashcam is, they shoot video, obviously. This particular model has several different resolutions/frame rates that it can record in. The first, and the only one that I would consider using, is 1920x1080p @30 frames per second, or standard 1080p HD. The others are 1280 x 720p @60 fps, 1280 x 720p @ 30 fps, or standard VGA 640 x 480. Having a choice in resolutions is nice, as some may prefer the higher frame rate at 720p resolution, or just 30 fps at 720p to make their memory card carry more video. I personally feel that the higher resolution is going to be the most desirable, as you can gain a clearer view reviewing captured video, even when zoomed in. There are other standard features on this dashcam, for example a G-Sensor. 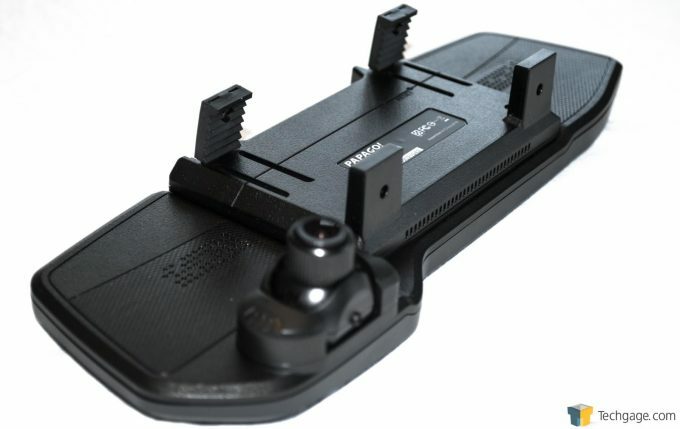 A G-Sensor is an important feature that is present on most dashcams these days. The way this dashcam, and others work, is they are continuously recording short clips of video, 5 minutes long on this model. When the memory card fills up, the oldest clip of video is overwritten to make room for new clips. What a G-Sensor does, is if there is an impact detected, such as a crash, the camera will automatically write protect that clip of video so that it can’t be accidentally overwritten. One scenario that comes to mind where this would be a very important feature would be for example, you are driving along on a snowy night, and a deer jumps in front of your car, you instinctively swerve to miss it, and end up losing control, rolling your car, knocking you unconscious. You are out for a few hours before you are rescued. Without this feature, your dashcam may have stayed running, recording only the bottom of the ditch you were stuck in, but not with the G-Sensor; that clip of video is write protected, and ready for review. Obviously this is just an example, but you get the idea. You can also manually initiate this by holding down the REC button on the mirror itself, if you want video write protected that may not have triggered the G-Sensor. Some other features that I personally don’t care for, being an experienced, safe, and confident driver, are stop sign recognition, stop and go, a fatigue alarm, and a lighting reminder. The stop sign recognition is pretty self explanatory. The stop and go, is designed to alert you when the cars in front of you start moving if you have been stopped. The fatigue alarm will give you an audible alert if it senses you are wandering on the road after you have been cruising for a designated time, and you can change this interval in the menu. The lighting reminder will sense when you need to turn on your headlights. As I said, I don’t care for these features for my daily driving, but if you have a young driver getting behind the wheel without adult supervision, these may be great tools to employ. The recording modes are automatic, monitor mode, motion detection mode, and a parking guard. Automatic is the standard recording, which starts when you start up your car, and finishes when you turn off your key. The monitor mode will automatically take snapshots every second while video is recording as a supplement. The motion detection mode, will begin recording when motion is detected, and for 60 seconds after no further motion is detected. The recording will restart once the dashcam detects movement again. The parking guard will record video for 10 seconds when the device feels a bump, or is hit in any way without having to have power connected. These features that are active when the vehicle is off, are possible to the on board capacitors that store enough power to make these possible. There is also an onboard microphone that you can turn on or off. You can have a date and time stamp on all the video if you choose, and I would certainly recommend using it. The clock can automatically adjust for daylight savings time, and there is even a GPS module that you can add on which can be purchased separately. All video and snapshots are saved on a MicroSD card. The PapaGo! GoSafe 268 comes with a 8GB included, but you can use up to a 64GB if you choose. If you choose to use a different MicroSD card, it will need to be a Class 10. The GoSafe 268 sports a Sony EXMOR sensor, which PapaGo! promises a precise and clear picture quality that is better the most dashcams on the market today. As I mentioned earlier, most dashcams use a suction cup to attach to a windshield or a dashboard. The GoSafe 268 attaches directly to your rear-view mirror. The glass is large, and tinted to reduce headlight glare at night. The mirror is also convex, so that you get a fuller view of your rear seat. Being a parent, I am glad that this feature exists. In my vehicle, my rear-view mirror has an auto darkening feature, so I was giving that up for this, but with the mirror having a tint already, I didn’t mind this at all. There is a group of 4 buttons in the lower right hand corner of the mirror assembly. The first is the emergency record button, then an up, down, and ok buttons. These are nicely styled, and have an audible and tactile click when you press them, giving you assurance of a successful input. On the backside of the mirror we find the attachment device, which consists of four fingers. The fingers are covered with a thick rubber for grip. The bottom two fingers are fixed, and the top two are spring loaded and move upward to allow you to affix this to mirrors of different sizes. On the right hand side of the back of the mirror, we find the camera lens itself, which is glass to my surprise, which means it won’t get hazy or cloudy over time from sunlight exposure. This lens is a ball-socket style, allowing you to easily point the camera in the exact direction you like. There isn’t a large range of motion here, but it will allow you to center your frame nicely. On the top of the GoSafe 268 we find the main power button, the AV out socket, the MicroSD card slot, the mini-USB power connector, and another socket for the optional GPS module. The dashcam comes with a user manual, a 12V power socket adapter, a generously long USB cable for power, and a 8GB MicroSD card with SD card adapter, as most laptops and PCs don’t natively offer a MicroSD card reader. This is the first time I have reviewed a dash cam in this particular form factor, mounting to the rear-view mirror like this. I have to admit, I thought it was a really clever idea, as I am a big fan of clean, minimal augmentations to my cars. When I first received this for review, my vehicle was a 2015 GMC Terrain. To my horror, this would not fit the mirror on the Terrain. This brings me to one major limitation of this design, and that is you will need to make sure that this will fit your vehicle. My GMC Terrain has, like all GM vehicles that I know of, OnStar, which is a mostly useless service GM tries to use to extort monthly monitoring fees, LTE data, and other useless features for anyone with a smartphone. 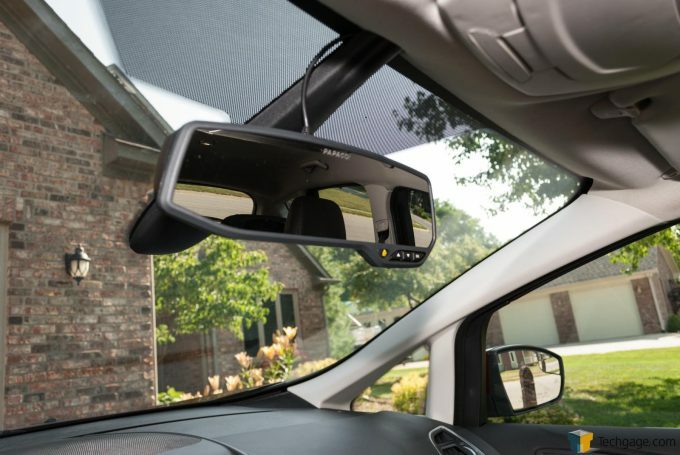 The OnStar service controls are integrated into the rear-view mirror, making it slightly larger than most standard rear-view mirrors. GM is one of the largest car companies in the world, and as far as I know, this will not fit any mirror with OnStar, but I could be wrong. 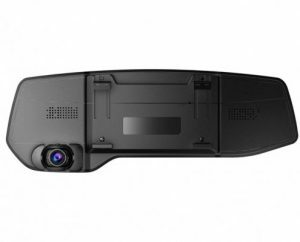 If I were designing this dashcam, I would make damn sure it fit a standard GM mirror, but it doesn’t. Something else to consider when you are considering this form factor, is some vehicles have the video output of the rear-view camera (if equipped) integrated into the rear-view mirror, so that is something to keep in mind, as you wouldn’t want to cover up that display. You might want to look at the more conventional windshield or dashboard mount. 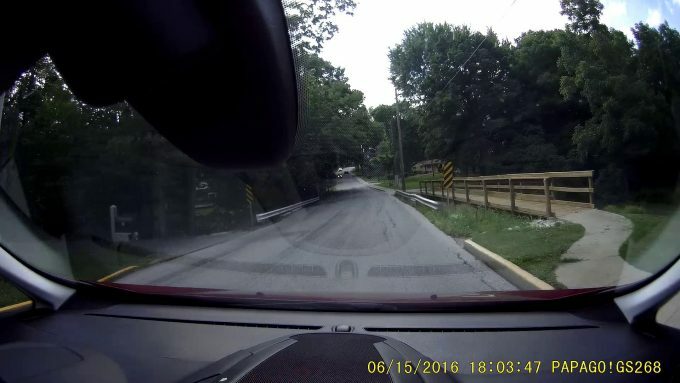 Luckily not long after I got this dashcam, my wife sold her car, took my Terrain, and I got another car, a 2013 Ford C-Max Energi. The factory rear-view on my C-Max does have auto dimming, but is otherwise a standard size and shape mirror. Luckily, the GoSafe 268 fit this mirror nicely. Affixing this to my mirror is not an incredibly simple task, as the fit is rather tight, but since you aren’t going to be taking this off and on regularly, this is a non-issue as far as I am concerned. I found myself instantly pleased with the aesthetic, and function of the reflective mirror portion. The tint of the glass is great at night, and the convex shape gives me a great view of the rest of my car. I will say that the convex view does take a little getting used to. You may find yourself thinking that people are tailgating you excessively, but you just have to remember that your view is a little different than a flat mirror, again a non-issue for me. The front facing camera video output is displayed on the right hand side of the mirror, about 2 inches square. With previous dashcams I have reviewed, there was always a way to have the video output turn itself off after a minute or so after startup. I always employed this feature, as I found the bright video output distracting for night time driving. I couldn’t find this feature on this camera, which befuddled me at first. After driving with this display on at night, I realized this was not going to be an issue. Because this display is behind mirrored glass, it is not very bright, and was not a distraction at all. When the camera is off, you can’t see a screen or anything, just a mirrored surface. Here is where I found another limitation with this form factor. My car, has a rain sensor built onto the windshield, a factory installed feature that will activate my windshield wipers when it senses rain on the windshield. This sensor is right smack in the frame of the recording, and there is absolutely no way around this. It does obscure some of the view on the video, but you still get a good look at what is going on in the video even with this sensor in your way. This is something else to consider when considering this form factor. As I mentioned earlier, the PapaGo! GoSafe 268 has safety features such as stop sign recognition, stop and go, fatigue alarm, and lighting reminder. I did give these a try, and they all do seem to work as intended. Once I verified this, I quickly turned them off as I find them severely annoying. I want this dashcam to record video, and that’s it. However if you are a parent with a young driver out on their own, these are a good teaching tool. Driving day to day with this device, really becomes a set and forget device. When I first installed it and powered it on, the menu layers were easily navigated through, and in just a few seconds, I was off to the races. 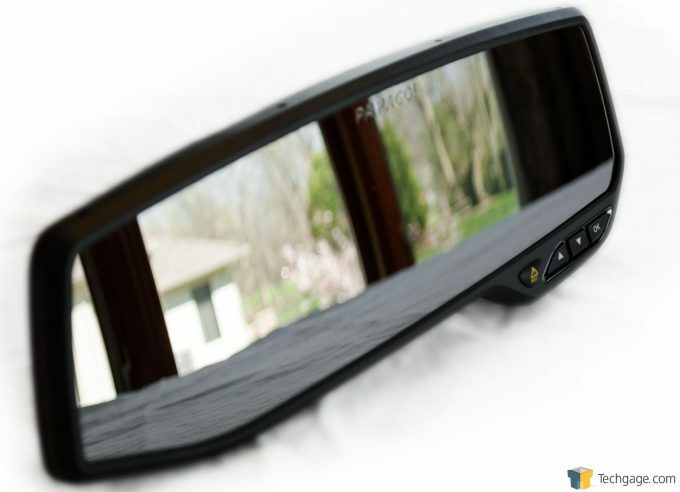 I found driving with this new mirror a real pleasure, not only is the mirror apparatus itself a great augmentation to the factory rear-view mirror, but I absolutely loved how this device seems to simply dissolve into my car, almost like it was made just for my car. I was able to easily run the power wire by slipping it into the headliner with a little tucking, down the A pillar to the floorboard, under the carpet to the center console, tucked under that up to the armrest, where the wire passes through a channel made just for wires, to a native USB port on my car. The video that is recorded looks great, even at night, which is something that all digital recording struggles with, no matter the price point. 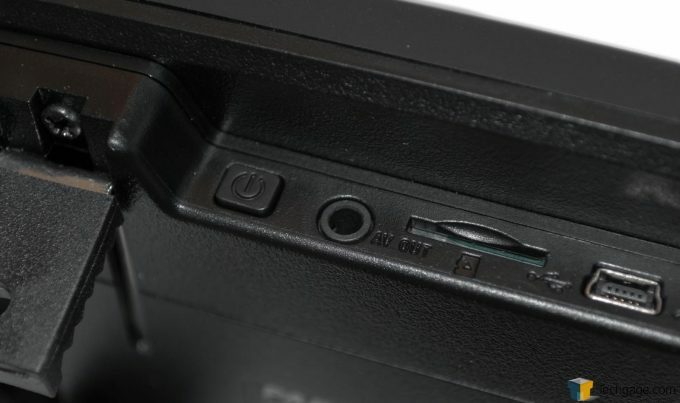 I did find a bit of an oversight with the design when it comes to the location of the MicroSD card slot, however. Now this may be different on other cars, but I found that I had to actually remove the device from my mirror to allow me to pop out the MicroSD card to retrieve video. I think that this should have been placed on the bottom, or even the side of the unit, making things much easier. This isn’t a major issue though, as you aren’t really going to be popping this card out very often under normal circumstances. In closing, even with my rain sensor hogging up a portion of the video, and the possibility of this not fitting all mirrors out there, I love this form factor, I absolutely do. I never enjoyed having a dashcam hanging off my windshield with a suction cup. I tolerated it because of all the potential benefits of having a dashcam, but that was all, I TOLERATED it. When it comes to this rear-view mirror mounted style, I will never go back to a conventional mount, no way!